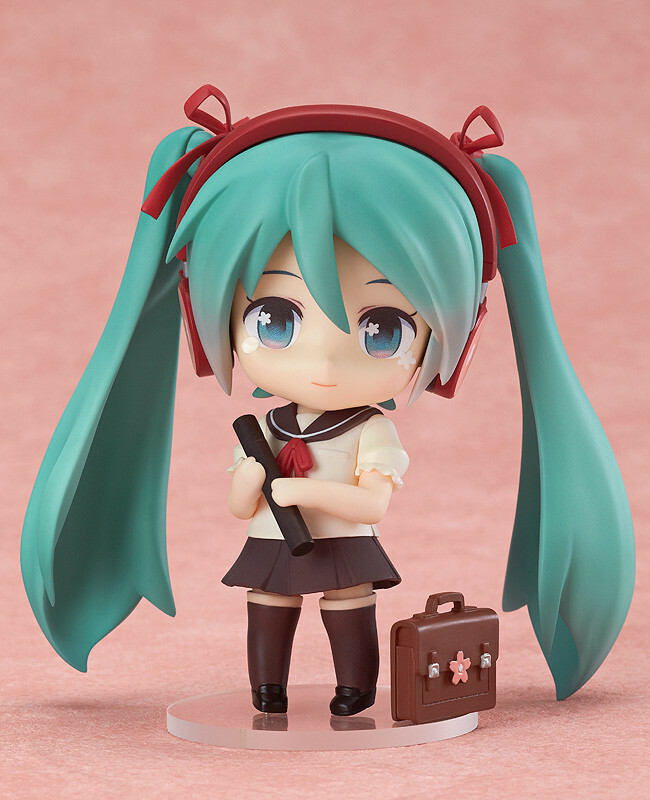 Nendoroid Hatsune Miku: Sailor Uniform Ver. It's time for the Spring graduation ceremonies, and Hatsune Miku is dressed for the occasion! Good Smile Company's lottery-based series of products is back to brighten up the Spring! 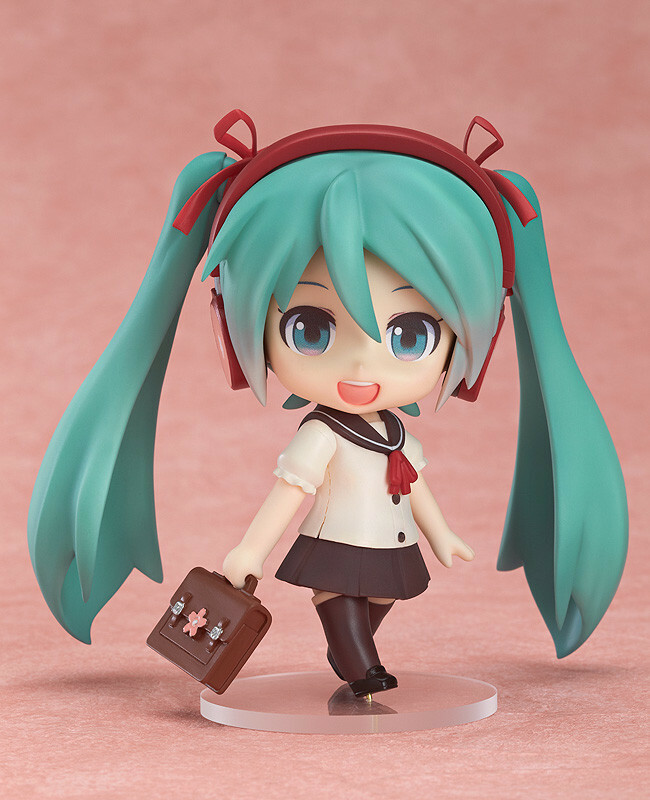 This year's 'Good Smile Kuji: Hatsune Miku 2014 Spring Ver.' lottery will be available at FamilyMart convenience stores as well as TSUTAYA book stores across Japan. 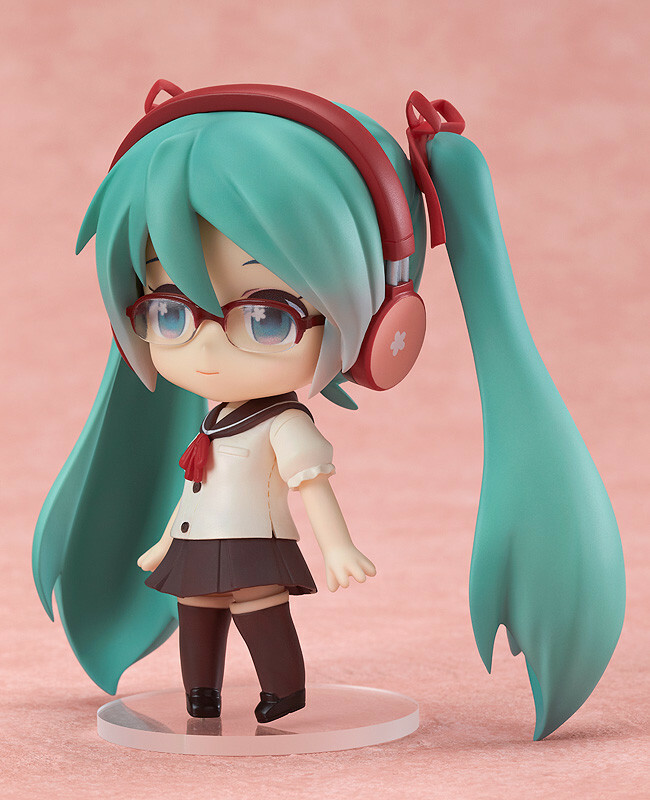 The A-Prize this time around is Nendoroid Hatsune Miku: Sailor Uniform Ver., based on a design by the popular illustrator 'tica85 bookstores'. As Spring is the season of graduations in Japan, she comes with a graduation certificate and tear drop sticker. 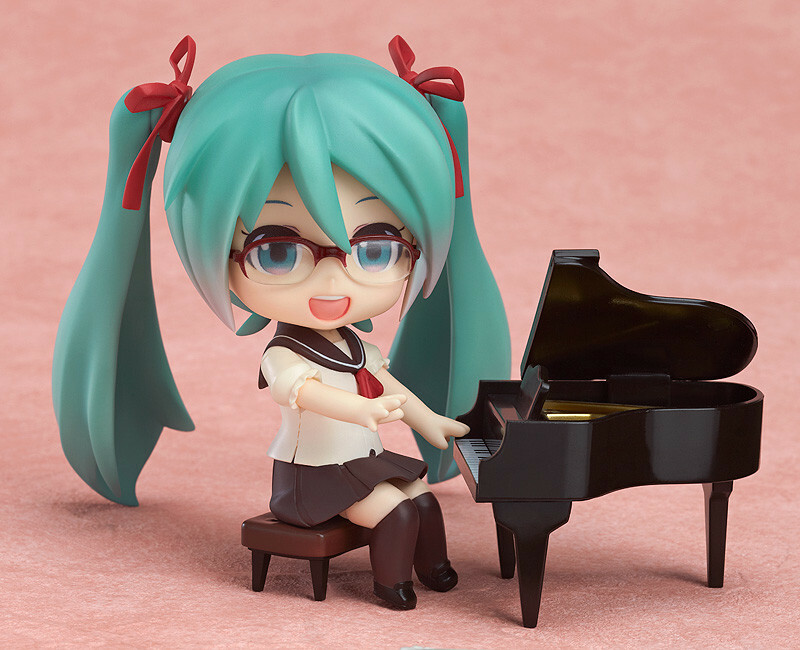 Her bag, glasses and even a Nendoroid-sized grand piano are also all included to pose her in all sorts of school-related scenes. 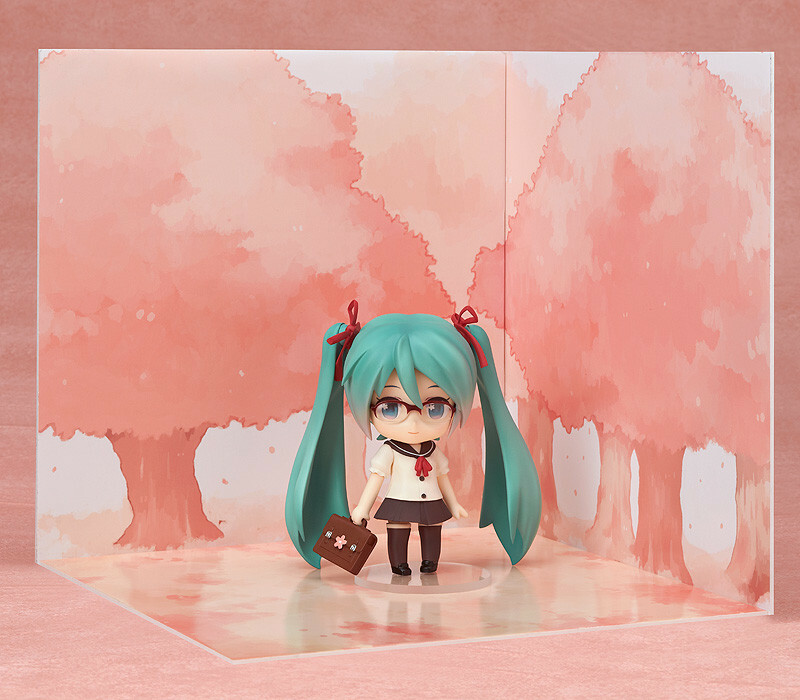 Two special display kits are also included, allowing you to pose her with a background of cherry trees or inside the classroom! 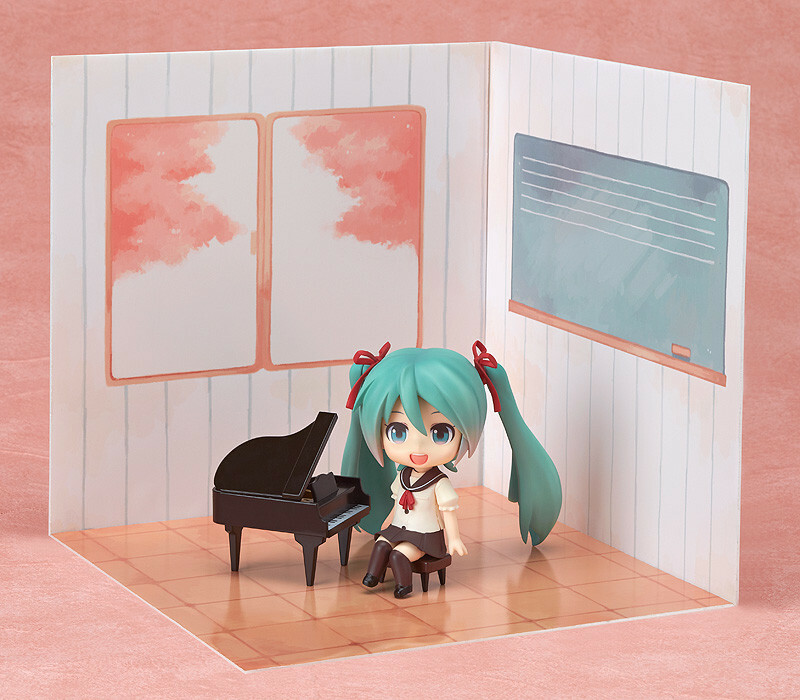 Click here for more information about the Good Smile Kuji: Hatsune Miku 2014 Spring Ver.